KUER is truly excited to announce the expansion of 1A, NPR’s weekday morning talk show hosted by Joshua Johnson. Since joining our lineup last year, 1A has become a very popular hourlong look at the day's biggest headlines. Starting Sept. 17, the program will air from 10-noon, with its second hour driving the conversation deeper into other topics, adding variety to our midmorning lineup. Public radio’s innovative business-news flagship, Marketplace, will now air at 6 p.m., followed by The Daily, a half-hour show that brings listeners behind the scenes of that day’s biggest story from The New York Times. If you’re a news junkie, this adaptation of a hit podcast is a must-listen. Note: The Daily debuts on KUER Sept. 18, following Monday’s 6-7 p.m. live debate between candidates for Utah’s 2nd congressional district. During the midterms, tune in Monday through Thursday nights at 8 for America on the Line. This call-in show hosted by journalist Jonathan Capeheart brings guests from across the political spectrum together with callers from around the country to talk about the big decisions we’re all facing in November. On Fridays at 8, tune in for The Takeaway’s weekly episode Politics With Amy Walter. After Wait Wait ... Don’t Tell Me!, stay tuned for It’s Been a Minute With Sam Sanders from 11 a.m. to noon. This alumnus of NPR’s fascinating NPR Politics Podcast hosts an irreverent but informative look back at the week in news, pop culture and more. Two of our Saturday mainstays will now air earlier, with On the Media at noon and This American Life at 1 p.m., followed by another story driven powerhouse, Snap Judgment, at 2 p.m..
Then at 3 p.m., check out The Politics Show From NPR. 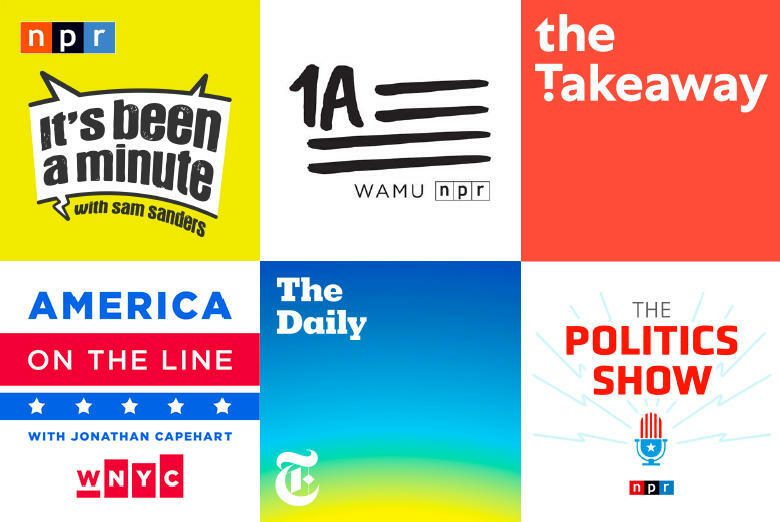 This nine-week series features the network’s political reporters and correspondents analyzing the week's midterm news in a relaxed, roundtable format. The complete schedule is viewable here or you can download or print this PDF document. As part of these changes, Here & Now, Q and To The Best of Our Knowledge are leaving the KUER schedule, for now. Please follow the links above to listen and subscribe to their podcasts. My KUER colleagues and I want to hear your feedback about these shows in the coming weeks. Call our listener comment line at (801) 581-6777 or you can email me at jmeyer@kuer.org. As always, thank you for listening and for your support of the station.